"The newly discovered supersized black hole resides in the center of a massive elliptical galaxy, NGC 1600, located in a cosmic backwater, a small grouping of 20 or so galaxies," said lead discoverer Chung-Pei Ma, a University of California-Berkeley astronomer and head of the MASSIVE Survey, a study of the most massive galaxies and supermassive black holes in the local universe. While finding a gigantic black hole in a massive galaxy in a crowded area of the universe is to be expected – like running across a skyscraper in Manhattan – it seemed less likely they could be found in the universe's small towns. Astronomers have uncovered this near-record breaking supermassive black hole, weighing 17 billion suns, in an unlikely place: in the center of a galaxy in a sparsely populated area of the universe. The observations, made by NASA's Hubble Space Telescope and the Gemini Telescope in Hawaii, may indicate that these monster objects may be more common than once thought. The current record holder tips the scale at 21 billion suns and resides in the crowded Coma galaxy cluster that consists of over 1,000 galaxies. The researchers also were surprised to discover that the black hole is 10 times more massive than they had predicted for a galaxy of this mass. Based on previous Hubble surveys of black holes, astronomers had developed a correlation between a black hole's mass and the mass of its host galaxy's central bulge of stars – the larger the galaxy bulge, the proportionally more massive the black hole. 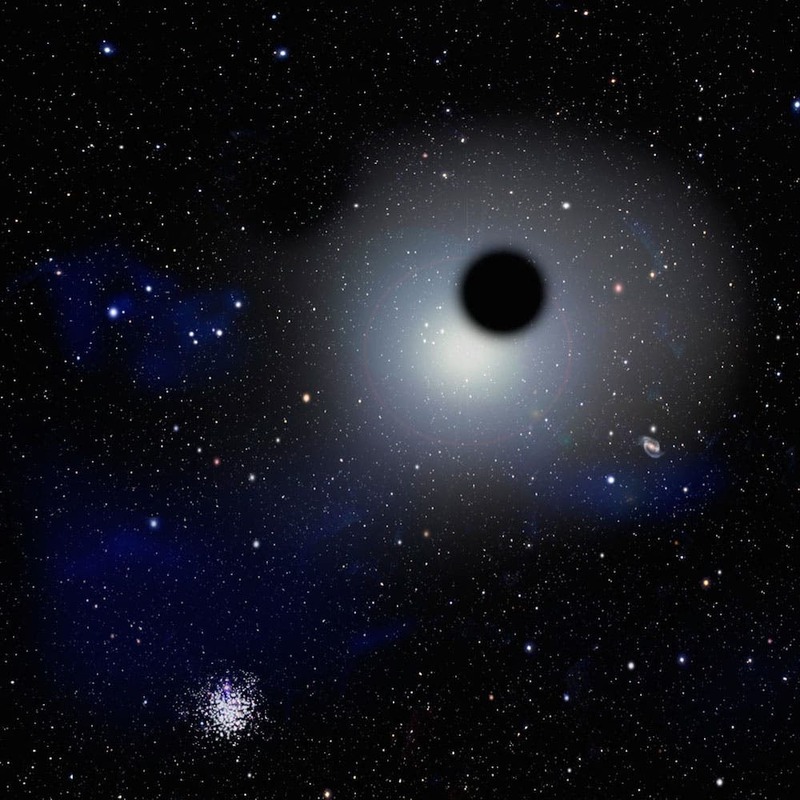 But for galaxy NGC 1600, the giant black hole's mass far overshadows the mass of its relatively sparse bulge. "It appears that that relation does not work very well with extremely massive black holes; they are a larger fraction of the host galaxy's mass," Ma said.